The morpher looks really nice and I'm THRILLED to see that the basic figures will have good articulation in the legs, which Hasbro is skimping on in most of their kiddie lines. I really like the sculpts and the paint is more than decent. Most of their kiddie lines are licensed properties though, right? I'm thinking of Star Wars and Marvel. PR is now an in-house property, so they don't have to pay a licensing fee. That little extra bit of budget can then conceivably go towards the quality of the figures themselves. wait does the visor pop up on the morpher like the morphin brace? I’m also interesting in that red button on the Morpher... possible connector point for the Powered Custom? And the figures look great! I know people had reservations about them, but I just had a feeling they’d change up the basic figures. Bandai made such a staple with them over the years that Hasbro would have been crazy to not go that route. WOW these figures look very impressive! I am pleasantly surprised. I even love that the Morphers on the basic figures are actually painted. We can't even say that for some of the legacy figures. Wow. Those are actually pretty decent-looking for basic figures! And they don't look like Rob Liefeld designed them! The morpher isn't what I would've wanted but it still looks solid enough and the voice activation feature sounds interesting assuming it's actual speech recognition instead of "responds to any kind of sound." Each figure comes with a key for the morpher, too, which is neat. The Tronic one is probably just going to be "fighting off Tronic soldier" sound effects but I hope the Blaze one emulates his transformation. 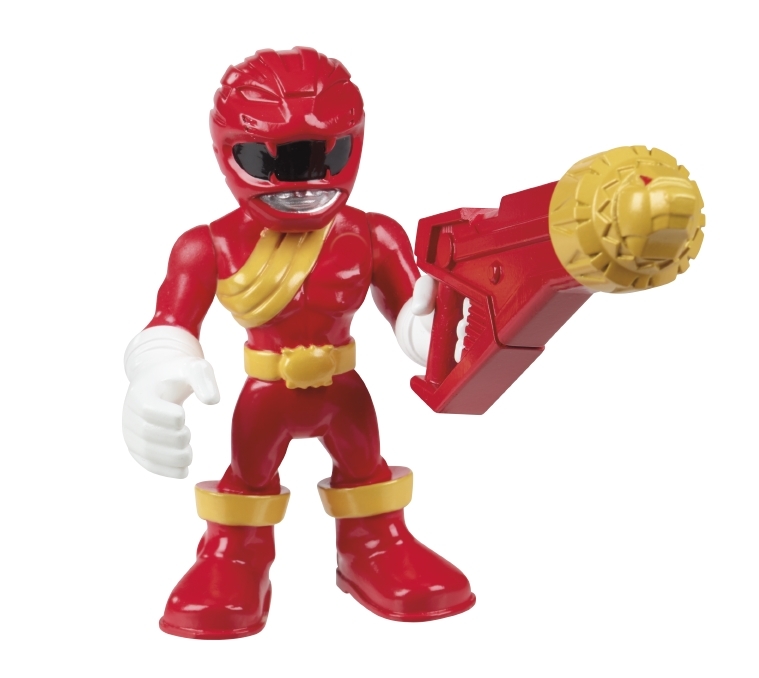 Shame it looks like his leg articulation is lesser than the three main Rangers. This is the first-ever official toy representation of that suit, though, huh? 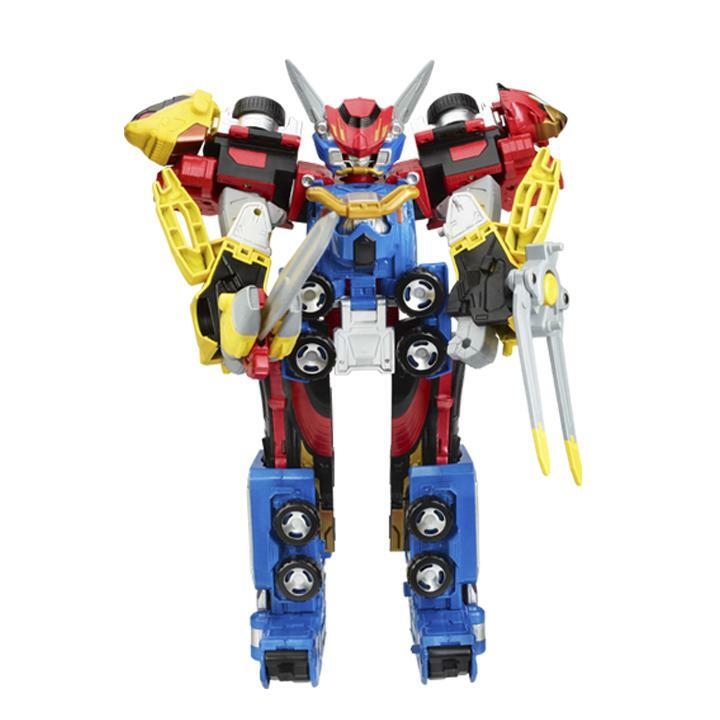 Just in case, Screen Rant includes a pic of the DLX Megazord. 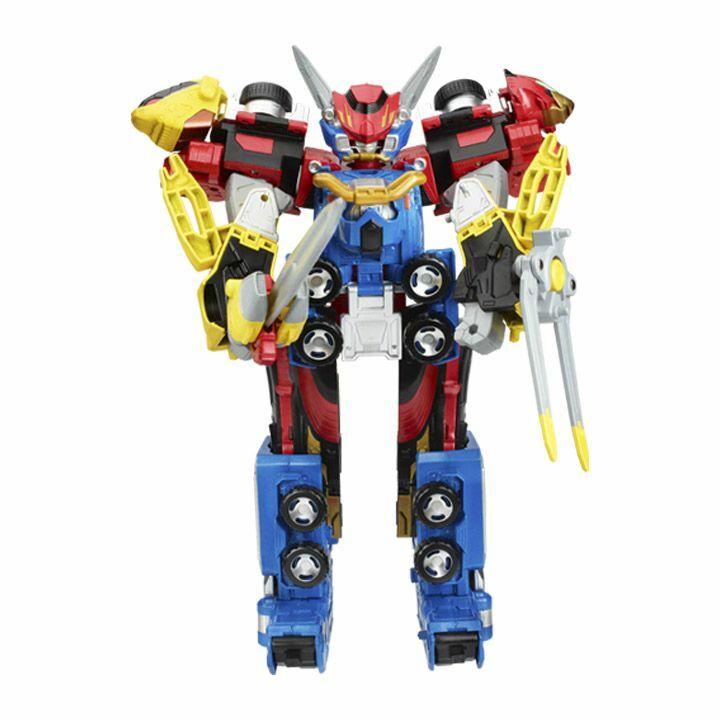 But they call it the "Playskool Heroes" Combined Beast-X Megazord. So either there's going to be different versions of the Megazords coming out or Playskool is going to be the brand they release the Zords under. Pretty sure the wording is referring to the Wildforce Zord at the bottom and the Hasbro employee giving this information to the websites is dropping the ball. They accidentally showed the Ultrazord on the previous site and had it removed. Well crud. Those actually look pretty decent. I might be forced to walk back some of my criticism of Hasbro over the past year. They may not be able to make a decent main line for Star Wars...but their Power Rangers look solid. Okay yeah, here's the one that has both the "Deluxe" and the "Basic" versions. The figures look absolutely amazing. A decent amount of articulation for this price point and the proportions are so much more...human...than what we've seen in the past. I'll be buying them all for sure. Seeing these basic line figures also gets me even more excited for the Lightning Collection. I hope eventually over the years all the old teams get released, and of course I hope for more villains. We (RangerBoard) also received the press info & images for the Ultrazord and Playskool set, so I can shed some light on the confusion. 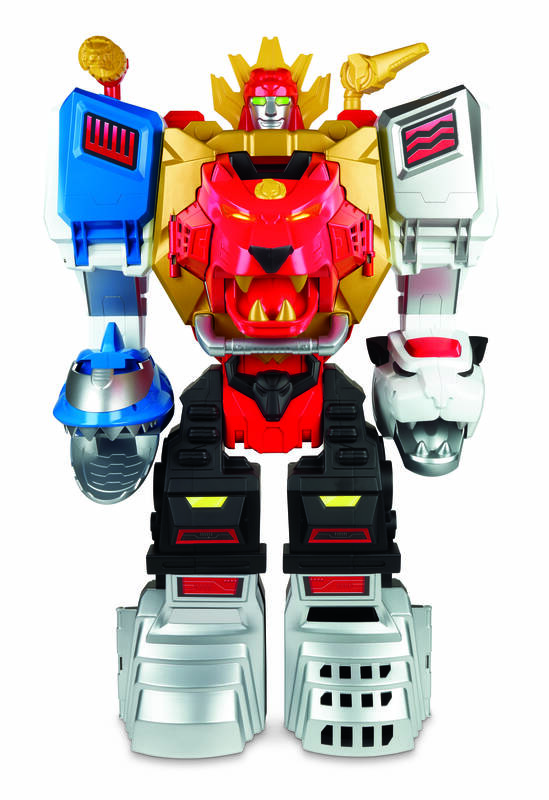 Regarding the DX Ultrazord images, the one below was included in the press kit for the Wild Force Megazord Playskool set. The Playskool press kit also includes an image of a one-piece standard Megazord figure, so that's where all the confusion comes from. 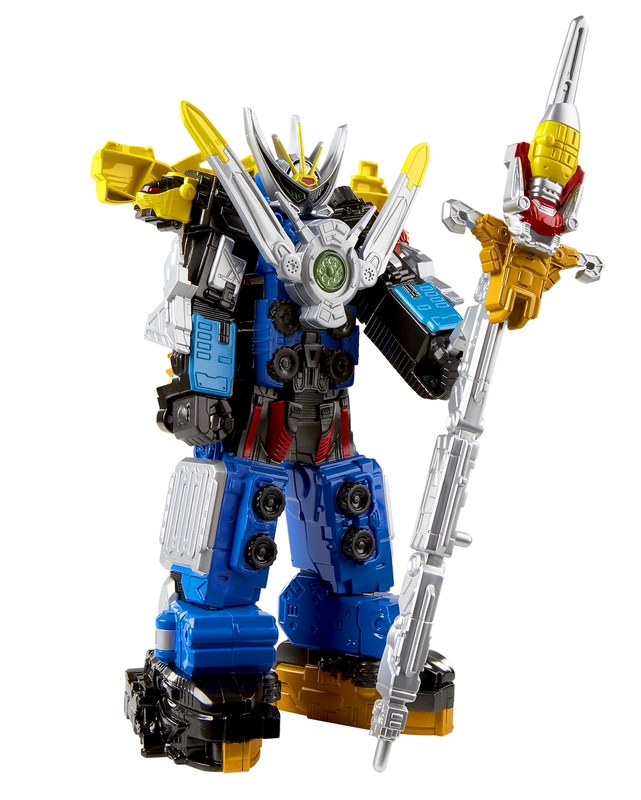 Also, the file name for the DX Ultrazord image below includes the item numbers for three items - "E5920, E5922, E5923 COMBINED BEAST-X_MEGAZORD". So yes, that's the combined DX toys, I assume those three items are the Red, Blue and Yellow Zords. Here's a hi-res photo of the one-piece Beast-X Ultrazord figure. I think it actually looks pretty nice. As I said before, there's also this photo included in the Playskool press kit. At first I thought it was the Ultrazord figure above with removable parts, but it's actually different entirely. It's also one-piece but has totally different molding. Judging by the style, I'd guess that this is Playskool. Last edited by Morgan Lamia; February 8th, 2019 at 01:09 PM. A Dark Buster figure is all I ever wanted for years and now one finally exists and looks decent... I'm so freaking happy. I'm also happy to see Wild Force getting love even if Playskool's not for me. Christ. If the pictures of that Wildforce Zord was a person I could see every pore. I'm not sure I need a picture that hi-res. Honestly I wasn't impressed with the figures for the rangers. I was like "I don't see the big deal, they just look like normal bodies from the show"
The female body looks female without exaggerated features. Everyone has some muscle on them but no more then what the actors show on screen. They look off a little just because the bodies aren't extreme which allows us to notice they are wearing colorful costumes. I guess WF makes sense when you think about it. Ya know due to both seasons having an animal theme. Though JF would've made more sense. 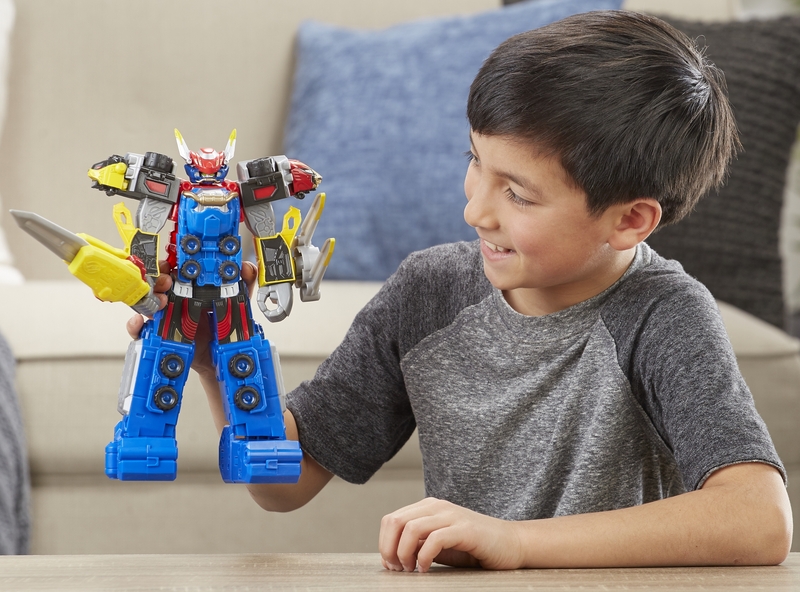 Okay, so the Playskool Megazords are something different from *the* Deluxe Zords? 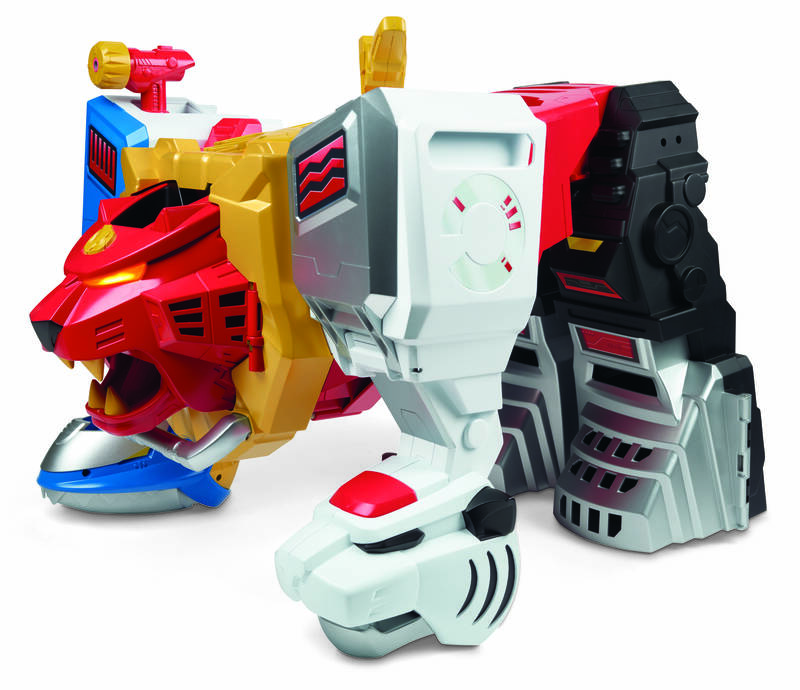 Or are the Playskool sets one thing (that also combine) and Hasbro is keeping quiet on the true Deluxe Megazord front? Wildforce is a perfect choice for pre-schoolers. Fits the "teach kids about animals" niche and grown-up PR fans who want their kids to learn about the other seasons they grew up with will want to buy it. The Wildforces toy are the only Playskool thing we've been shown. The others were a DX toy and a simplified Zord toy that has sound effects. And the Wildforce Zord doesn't combine. It just transforms. Basic figures revealed! Quite cartoony but not too bad.